What used to be a regular occurrence in winter’s past, in season, was one special weekend in late February where the snow filled in Mt.Adams enough for snowmo-bording. Kelso and I dusted off the machines after 11 months of sitting on Portland street-sides and warehouse storage along the Columbia river. Mt.Admas had been hit with 8 plus feet of new snow in one week and we were hellbent to get up there and see what the riding area looked like. The wind had done considerable damage to the fresh snow (as expected when riding volcanos). The entire sled lap zone was wind buffed to an unridable degree. The wind did work in our favor in certain places. The huge amount of new snow was relatively stabled after being lightly packed down by steady winds during the storm cycle. 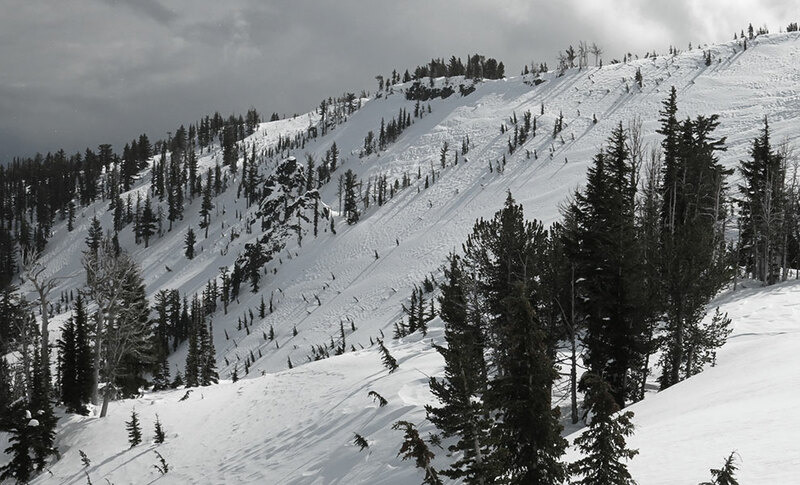 Single riders over a snowpack that deep, have a hard time causing a slide on a weak layer buried over 8 feet below. We dug pits on slopes we couldn’t find the old weak layer buried so deeply below. 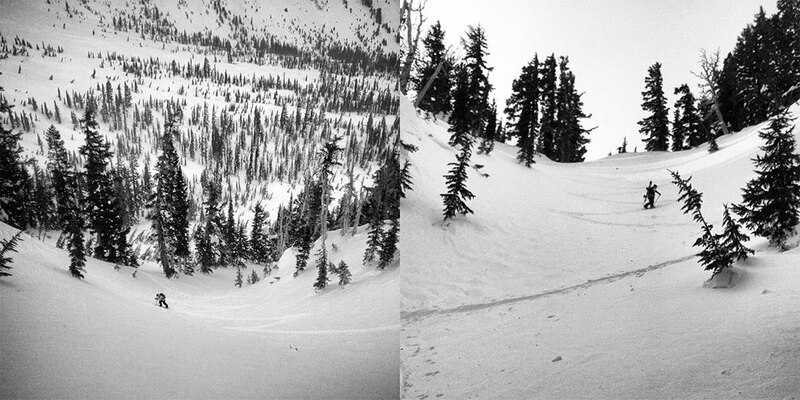 We ski cut steep chutes off the second bench of Hell Roaring canyon. We saw very little avalanche activity and nothing from our tests. The lower lap was on. 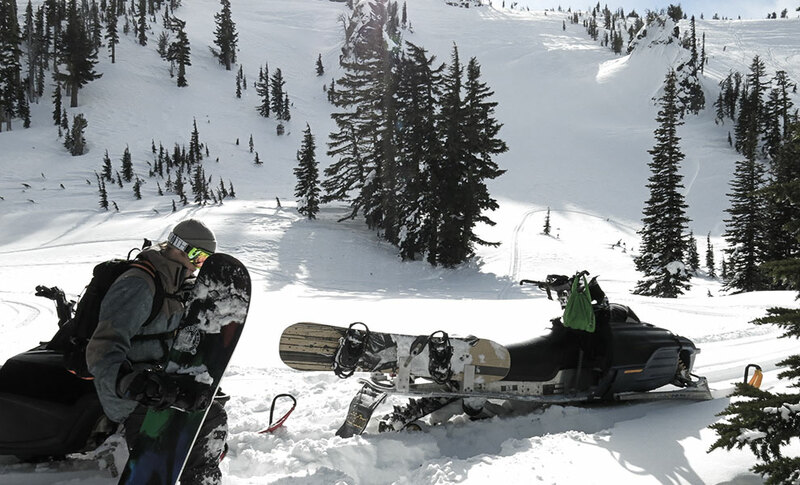 Thick, dry, wind-packed powder awaited anyone with a touring setup to get them back out of the valley floor. K and I took one lap Saturday in thick, deep snow that had a bouncy Northwest feel. 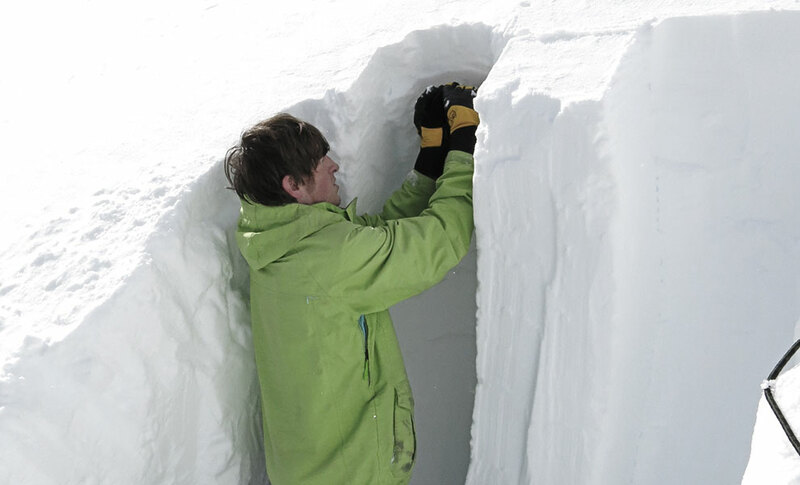 You could toss buckets of fresh snow and then be brought right back to the surface by the snow consistency. After only one lap on day one, we van camped in White Salmon so we could take advantage of our snow research for a second day. We meet up with Kevin and his buddy Corbin for three laps down to the valley floor on day two. Split laps are pretty refreshing. Great turns, good exercise and some quality outdoors time was a huge win. Oh yeah, the sleds both ran great too.